There have been 120 trade remedy cases which are mainly antidumping and anti-subsidy against Vietnamese exports by the US, the EU, India, Turkey and Canada by March this year, of which, most lawsuits were initiated by the US then followed by other markets under domino effect. According to Mr. Chu Thang Trung from the Trade Remedies Authority of Vietnam under the Ministry of Industry and Trade, when the trade war between the US and China happened and the US increased trade protectionism measures on products imported from China, global trade protectionism tendency was also on the rise in global market. On the other hand, the trade dispute between the US and China has led to high possibility that the latter will export goods to a third-party country, prompting the risk that this third-party country will also be hit by the US’s trade protectionism measures. In fact, Vietnam has been suffering damaging impacts from the trade protectionism policies applied by the US. For instance, many steel products imported from Vietnam were received an anti-dumping tax of up to 250 percent after the US imposed antidumping duties on steel imported from China based on the Section 232. The US is in the process to investigate 14 cases of antidumping and six cases of subsidy against products imported from Vietnam. Of which, 13 out of 14 cases of antidumping and six out of six cases of subsidy were sued and inspected at the same time with products imported from China. 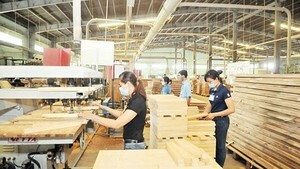 From the point of view of enterprises, representative of the Vietnam Timber and Forest Product Association said that the biggest concern of exporters is anti-tax-evasion measures carried out by the US Department of Commerce and the US Customs. If exporters are found to have avoided duties, they have to pay all the tax imposed by that country, causing huge losses to them. There even will be enterprises going bankrupt or withdrawing their products out of the US market permanently. Currently, there are some Vietnamese products being applied this protectionist measures. According to lawyer Nguyen Thi Phuong Thao of the IDVN Law Office, Vietnamese enterprises encounter disadvantages in trade protectionism lawsuits as the US Government has yet recognized Vietnam as a market economy. 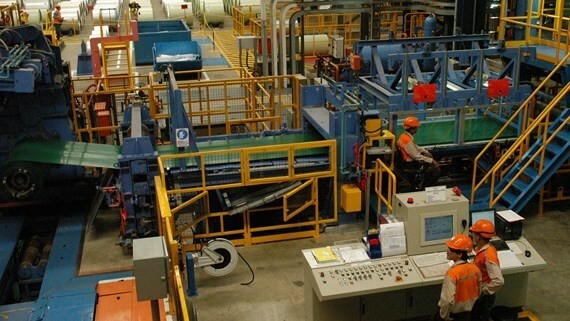 Accordingly, inspection authorities do not accept all manufacturing expenses presented by Vietnamese enterprises but only input expenses and factors related to manufacturing process. Meanwhile, they take the reference prices from countries with similar economy such as India and Bangladesh. However, labor costs in these two countries are much lower than those in Vietnam and their manufacturing is also more technologically backward than Vietnam. Lawsuits on anti-countervailing are more difficult as the US said that Vietnam did not have real estate and financial markets. Therefore, land rentals of enterprises at export processing zones and industrial parks whose investors are state-owned companies or loans from state-owned banks are all considered as subsidies. According to experts, the information basis in the trade protectionism investigation activities that the US government has been conducting has not fully taken into account production costs of Vietnamese firms. In other words, actual production costs of Vietnamese firms are not accepted, causing them to receive high tariff rates. In addition, this will also create a chain effect to other import markets, putting Vietnam’s exports at a disadvantage. According to Mr. Chu Thang Trung, countries used trade protectionist measures against goods imported from Vietnam include the US, the EU, India, Turkey and Canada. There are up to 30 percent of cases relating to steel products while the rest is on chemicals, processed and manufactured products and wood products. The risk of encountering trade barriers is higher but the resistance of Vietnamese firms is very weak. First, firms which are being sued or inspected are usually unable to access information at the beginning. The US authorities even do not send any notification to them. During investigation, they also do not publicize how the information is collected as well as what the information is about. As for Vietnamese enterprises, they are still clueless when facing trade protectionism lawsuits. A few firms tend to give up as they are not prepared financially to pursue the lawsuits. Therefore, when the investigation results are announced or the hearing is required, the possibility of winning of Vietnamese firms is extremely low. This affects not only the operation of the firms that are being sued but also other firms in the same industry. Ms. Nguyen Thi Phuong Thao emphasized that, in order to deal with increasing trade protectionism lawsuits in the future, firms have to ensure the detailed data system of expenses from input, production to consumption for each product code. Firms also should be proactive in searching information and solutions to cope with lawsuits, making use of trade mechanisms and policies to protect their legitimate interests. At the same time, firms should spare a certain amount of capital to establish the legal department and build long-term resistance strategies. Especially, firms and associations should cooperate tightly, increasing cross-checks on production and export activities of each other. This is expected to prevent local firms from joining hands or compromising with the act of country of origin fraud, harming seriously the benefits of the whole industry because of being slapped with trade protectionism measures in export markets. The Ministry of Industry and Trade said that it has been building the warning information notification system about trade protectionism. The system will help firms to actively recognize the risk of being faced with trade protectionism lawsuits and how to cope with the situation based on experiences from lawsuits in the past. Moreover, the warning system also allows local firms to keep track of imported goods of their foreign counterparts. Hereby, they will detect harmful risks early as well as implement trade protectionism measures to protect domestic goods.